For me, this story is ok only, but I enjoyed to do the surgery and interact my patients in the hospital! It is not easy to do the surgery 'brain' and 'heart'. It really be fun! My sisters also like it! If you are a fan of TV show; Grey's Anatomy, then you can try to play this game! Play Meredith Grey and meet many other characters from the TV show. A lively hospital setting with constant drama: patients get admitted, doctors operate, etc. Interact with all hospital staff as you freely explore Seattle Grace Hospital. Improve your stats to succeed in various adventures until you officially become a real doctor! Take on side objectives to simplify your daily missions: Acquire sneakers to run faster, etc. 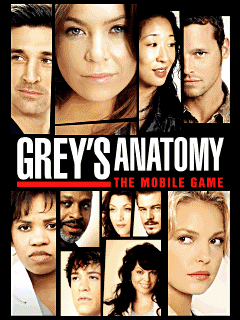 Featuring rendered environments that faithfully replicate the set of the show, Grey’s Anatomy: The Mobile Game will allow players to live through the series’ most intense moments and see them through the eyes of the characters. Play as Meredith and meet Izzie, George, Cristina or Alex and experience their storylines in an adventure especially created for you to enjoy in the palm of your hand. I brought this game cost RM 8.00 from the magazine of KREKO.. You can find the mobile games in the magazines, such as Astro, Kreko, Gempak, and many..